Porlock Bed and Breakfasts. Compare latest rates and Live availability for all your favourite places and places you have always wanted to go using our new My Shortlist feature. Click + to add to your Shortlist. Bed and Breakfasts in Porlock, Somerset for 1 night from Sun Apr 21, 2019 to Mon Apr 22, 2019 within 10 miles, in an Average Nightly price range of £1 to £200. Welcome to The Castle a cosy and friendly family run B&B in the middle of Porlock s High Street. Whether you wish to pop in for a drink and a bite to eat or stay the night in one of our en suite rooms you are sure of a warm welcome. br / br / br / br / Our public bar offers a range of draught ales lagers and ciders in addition to a variety of bottled beers hot drinks soft drinks and a selection of wines and spirits. br / br / br / br / Additionally we offer a wide range of hot or cold snacks and meals seven days a week between 12 noon and 9pm all year around. In Exmoor National Park, Glen Lodge B&B is a short walk from the village of Porlock and 2 miles from Porlock Bay. It is secluded in private gardens and offers free Wi-Fi and free private parking. Each room at the B&B comes with a flat-screen TV, tea and coffee making facilities and a private or en suite bathroom with shower and bathrobe. Some also have a hairdryer and bathtub. Every morning, guests can enjoy a continental breakfast or a full English breakfast based on locally-sourced organic produce when possible. Special diet menus and packed lunches are also available upon request. Guests can go walking on the South West Coast Path along sandy beaches, subtropical woodland and cliffs, horse riding or fishing. Dunster's medieval castle is 8 miles away and guests can take a boat trip from Lynmouth Harbour, 11 miles away. Country farmhouse bed and breakfast accommodation on our National Trust 200 acre working farm in the idyllic village of Selworthy in Exmoor National Park. Quality accommodation, stunning views, use of our lovely garden and open all year. Tudor Cottage is in the beautiful village of Bossington given to the National Trust in 1945 as part of the Holnicote Estate. The cottage has been tastefully modernised combining old world charm with today s comfort and offers three rooms each with either en-suite facilities or it s own shower room with toilet and basin. Start the day with a traditional English breakfast or with something lighter as you plan your exploration in this beautiful part of the country. Pre-ordered packed lunches are available. br / br / br / br / Bossington is on the edge of Exmoor a mile from Porlock and a few minutes walk from the sea. For those who want to forget the car there is plenty of walking from the front door in the immediate vicinity or off across the moor. Also the moor can be enjoyed by car with plenty of places to stop and admire the scenery and the wildlife and the peace of it all. br / br / br / br / For those who want a change from walking but don t want to drive there are safaris. These provide an opportunity for relaxed exploration plus an opportunity to learn about the area. Transport does not have to be petrol powered. Bicycles are available from Minehead and there is a Pedal Around Porlock circular tour as well as the opportunity to plan your own route. For those who really want to get to grips with the country and get off of the beaten track the area is ideal for horse riding and rides can be arranged for beginners and for the more experienced. br / br / br / br / There are many attractions both close by and further afield. The nearest apart from nature itself is Exmoor Falconry and Animal farm where you can see a wide range of birds of prey and watch demonstrations. The Falconry also offers the opportunity for a hands on experience . Some 20 minutes walk away is the village of Porlock which for a small village has retained a remarkable range of shops and has a museum and its visitor centre where all are welcome to drop in for a chat and to get some information and ideas for places to visit. We invite you to stay at Tudor Cottage in Bossington which is in the Exmoor National Park just ten minutes walk from the coast and a mile from Porlock. Walk in the National Park from our doorstep or venture further afield. Either way you can enjoy the beauty and serenity of the surrounding countryside as well as visiting the many places of interest in the area. Horse riding is available close by for the novice or for the more experienced rider as is the hire of bicycles. Located within Exmoor National Park and within 10 minutes of the South West Coastal Path, Tudor Cottage offers accommodation in the National trust village of Bossington. Free WiFi is available at the property. The rooms have a flat-screen TV and DVD player. Some units include a seating area for your convenience. For your comfort, you will find free toiletries and a hair dryer. There is a small guest lounge and Tudor Cottage is licensed with a selection of wines and beers on offer. Weston-super-Mare is 44 km from Tudor Cottage, while Taunton is 40 km away. The nearest airport is Bristol which is 56 miles away. Our wonderful Exmoor Country House offers luxury accommodation in a boutique hotel style. Wake up to a hearty breakfast and truly breath-taking views that stretch across the hills and moors. Dunkery Beacon Country House is a former Edwardian hunting lodge and has eight luxuriously appointed and individually decorated en suite rooms one with private facilities. A former Edwardian hunting lodge offering luxury accommodation and gourmet dining in a stunning location on Exmoor. Ideally situated for walking, cycling, and exploring the moor and coast. All rooms have flatscreen TVs, DVD players and glorious views. 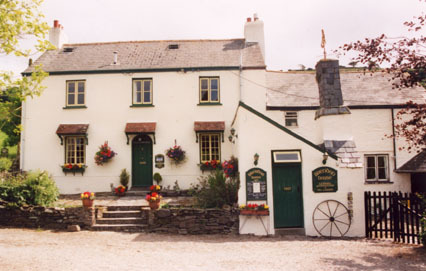 Northfield Hotel is nestled between the Exmoor coast and Exmoor National Park. Guests also benefit from free on-site parking. Free Wi-Fi is provided in each room at Northfield Hotel, as well as a flat-screen TV and en suite bath or shower. A range of dining options are available, from a 4-course dinner to a simple bar lunch. Guests can also relax in the lounge, terrace or gardens. The nearest beach can be reached in a 5-minute walk from the hotel, as well as the start of the South West Coast Path. Exmoor National Park features high moors and wooded valleys, in which guests can enjoy hiking, horse riding and cycling. The historic village of Dunster is just 3 miles away. The Northfield is located in the bustling seaside town of Minehead which is proud to be the gateway to Exmoor. Situated on the lower slopes of North Hill the majority of our 30 bedrooms enjoy stunning vistas of the coastline or surrounding countryside. Ideally located just a short stroll from the seafront West Somerset Railway Harbour and Town Centre as well as many footpaths onto Exmoor. A harbour side Edwardian inn situated in the old Quaytown part of Minehead. Nestled at the gateway to Exmoor amongst the old fishermans cottages at the foot of the picturesque North Hill and the start of the South West Coastal Path the location is stunning. Serving traditional beers and river cottage style food for lunches and dinners and with a bar snack menu running all day it's hospitality at its finest. With 12 bedrooms its a perfect venue for refreshments on days out and relaxing stays. A 4-minute walk from the West Somerset Coastal Path, Stones Hotel Bar and Restaurant provides stylish rooms and a wide-ranging food menu. With free parking and WiFi, this hotel is just 7 minutes' drive from Dunster Castle. Each guest room features oak furnishings and has a flat-screen TV with satellite channels and tea and coffee facilities. There is also an en suite shower with a hairdryer and toiletries provided. The Stones restaurant serves fresh pizzas, steaks and gourmet burgers alongside a range of traditional British mains and desserts. The relaxing bar offers beers, wines and cocktails and includes a secluded beer garden. Stones Hotel Bar and Restaurant is located around 15 minutes' walk from the Minehead & North Somerset Golf Club. The pretty village of Porlock is 6 miles away, and is home to the West Somerset Rural Life Museum. Nestled in the coastal town of Minehead, Somerset, Gascony Hotel offers free WiFi access, a restaurant and free parking. The hotel is a 2-minute walk from the esplanade, with views out to the Bristol Channel. Each room includes a TV and an electric kettle. Featuring a bath or shower, private bathrooms also feature a hairdryer and free toiletries. Extras include a desk, an outdoor seating area and bed linen. Some of the rooms benefit from a patio. Other facilities at Gascony Hotel include a shared TV lounge, a terrace and a bar. Within the restaurant, a hearty breakfast is served each morning. Evening meals are also available. From the property, Exmoor National Park is 19 miles away. Dunster Castle is a 7-minute drive away and Cleeve Abbey is 14 minutes' journey by car. Glendower House is situated in an attractive tree lined road. It is an Edwardian terraced house only a few minutes level walk from both Minehead town centre and the sea front with its wide sandy beach and promenade leading to the old harbour. All rooms have been individually decorated and furnished to a high standard and all have ensuite facilities. br / br / br / br / Minehead one of Somerset s leading holiday resorts and the Gateway to Exmoor is the ideal location from which to explore the National Park and surrounding area. Glendower House a family run no smoking guesthouse is the place to stay for quality bed and breakfast accommodation. Minehead also features picturesque gardens a good variety of restaurants pubs entertainment and sports facilities making it the ideal place for all holidaymakers. One attraction not to be missed is the West Somerset Railway Britains longest and most lovingly restored heritage railway travelling to Bishops Lydeard near Taunton. br / br / br / br / Breakfast at the guest house is served in our spacious dining room. We offer a varied selection of items all freshly prepared using wherever possible local organic and fairtrade products. These include fairtrade fruit juices Exmoor organic sausage and bacon and marmalades and jams handcrafted in the Brendon Hills. Particular dietary requirements can be catered for please let us know. br / br / br / br / We look forward to welcoming you to Glendower House. Situated in an attractive tree lined road this Edwardian terraced house is only a few minutes level walk from both Minehead town centre and the sea front with its wide sandy beach and promenade. Dunster Castle Hotel combines contemporary style with traditional comfort at the foot of the historic National Trust property of Dunster Castle in Exmoor National Park. With the convenience of medieval Dunster s only private car park guests can choose between 3 dining areas serving local produce in a mix of traditional modern and fusion styles then retreat to the sumptuously designed en-suite bedrooms to look over Dunsters cobbled street or tuck into bed and watch a film on your SMART TV. br / br / The 8 beautifully appointed bedrooms range from our premier rooms with views over Dunsters cobbled street through to more economical options for budget conscious travellers who still wish to have the facilities of our hotel. br / br / Dunster Castle Hotel has the cosy snug bar where guests can relax on leather sofas in low beamed medieval comfort or drink and dine in our Restaurant & Cocktail Bar all of which serve exciting locally produced food and drink to order making adjustments where possible to cater for our guests dietary requirements. Dunster Castle Hotel prides itself on its menu where local beef lamb pork fish and fresh vegetables are transformed into culinary delights by our team of chefs led by Head Chef Amelia Don. br / br / There is a large function room called The Great hall which is serviced by the steam carriage bar and soon to be completed Station Courtyard. Off The Great Hall is the conservatory which opens out onto our beer garden area with views towards Dunster Castle Conyger Tower and the church. The hotel has a large free for guests private car park with monitored parking for 26 cars. br / br / The hotel is ideal for couples families walkers and business guests alike and is ideally positioned to explore the beautiful area of Exmoor National Park with many Exmoor pubs and restaurants close by. Excellent base for walkers cyclists and varied outdoor activities why not try us for a short break. br / br / We have a ground floor room which allows for guests dogs. Offering a restaurant, Dunster Castle Hotel is located in the medieval village of Dunster. Free WiFi access is available. All rooms have a private bathroom with bath or shower. Extras include bed linen and ironing facilities. At Dunster Castle Hotel you will find a garden, a terrace and a bar. Other facilities offered at the property include meeting facilities, an ironing service and laundry facilities. The property offers free parking. The hotel is 500 metres from Dunster Castle. Bristol Airport is 80 km away. Bed and breakfast accommodation at Bilbrook near Minehead in Somerset. Open air swimming pool. Self-catering accommodation also available. Convenient location for visiting Exmoor and the Quantocks.